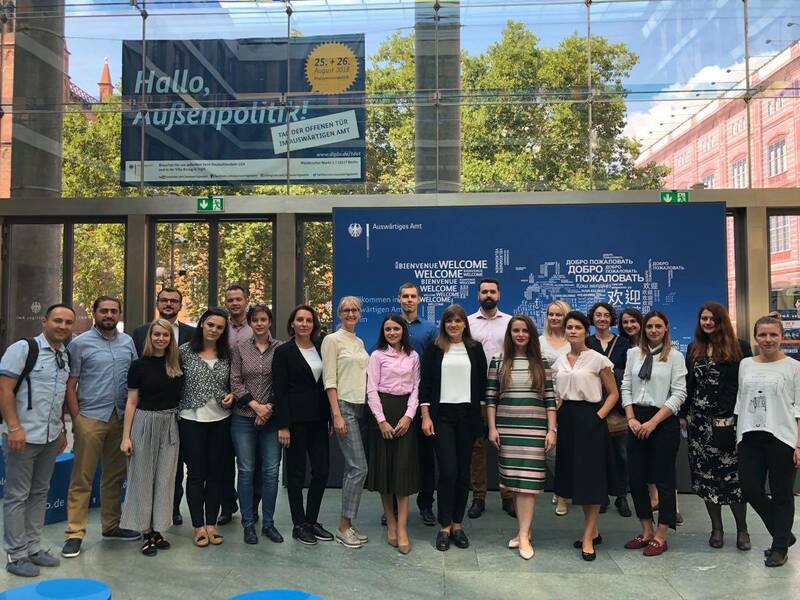 The Fellowship for Government Officials from the Western Balkans, launched in 2008, is a practice-oriented educational programme for the region’s civil servants. 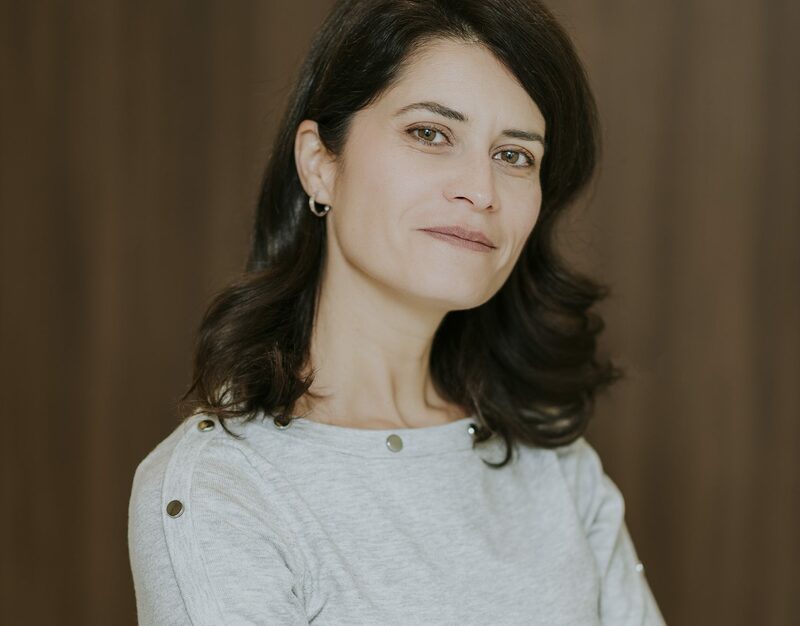 Its goal is to give impetus to the European Union integration-driven reforms of the Western Balkans’ countries, through building human capital in administrations – individuals who are acting as agents of change. So far, more than 200 government officials have benefited from this program, and today they form a large regional community of people who work towards the Europeanization of the Balkans. The Call for the 11th generation of civil servants from the Western Balkans is open until February 18th. 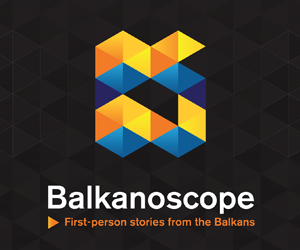 On this occastion, the European Western Balkans spoke to Milena Stefanović, Programme Manager from the European Fund for the Balkans. 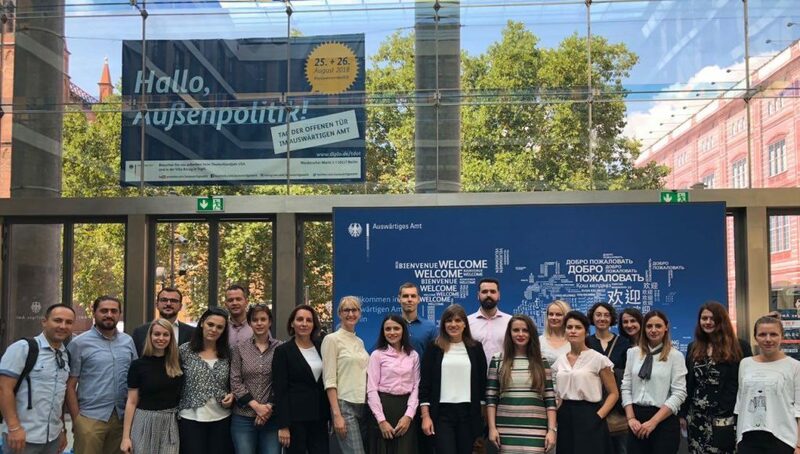 European Western Balkans: The Fellowship Programme for Government Officials from the Western Balkans is a flagship programme of the European Fund for the Balkans, and one of the initiatives with the longest track record. What civil servants gain in participating in this Programme? Milena Stefanović: After 10 editions of the Fellowship, more than 200 civil servants have had the possibility to acquire new skills, build certain competencies, and gain practice by working in the administrations of European Union Member States, like Austria, Germany, Slovenia, Spain, Portugal, Italy, France, Poland, Czech, Finland… The fellows also have an opportunity to learn their host country’s language and experience international and intercultural exchange. The idea is that through the 3 months’ learning process, the civil servants upgrade their capacities and leadership skills, and bring home hands-on knowledge of European principles of effective and efficient administration. Furthermore, the programme is created in such a way that it leaves a lot of time and space for networking and team building activities within the group itself, so after finishing the programme, they keep in touch and use the network as a source of knowledge and help. EWB: What are the main challenges in executing the Programme? MS: The biggest challenge has always been the consent from the employer, and this is becoming even bigger problem in the recent years. This obstacle leads to fewer number of applicants that fulfil the technical criteria (years of experience, educational background, knowledge of English, etc). Employers are reluctant to allow employees to leave their posts for two and a half months because some of them do not see this kind of educational programme as a beneficial for the institution, but only beneficial for the candidate. However, the core idea of the Programme is built based on the premises that the gained knowledge should be used to propose and implement relevant policies, activities, methodologies back in the home organizations, and to transfer the knowledge to respective departments. Thus, the fellows themselves grow, but also their home institution benefits – it only depends on how a fellow and a home mentor perceive this opportunity and what they make of it. 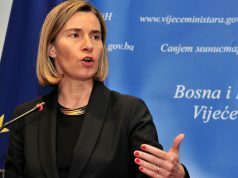 The political leadership is undoubtedly necessary to steer the EU accession process, but it needs to be supported by skilled, independent and stable public officials, capable of performing all of the complex tasks involved in the EU integration process, including the transposition of EU acquis into national legislation, coordination of sectorial policies, management of EU pre-accession assistance. Another challenge relates to the fellow’s professional experience and development once they are back. In some cases, their supervisors do not even ask what they have learned. In some other cases, they do get promoted, but in most of the cases they stay in the same positions, and some of them even leave public service. The systems of promotions in the public administration in all of the countries is vague with meritocracy still unestablished as a principle. Although we do see some positive developments towards professionalization of the public service, there is still a lot of room for improvement. 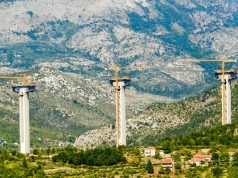 This Programme is potentially a huge help for public administrations in the region from different perspectives, but the final products remain underused. 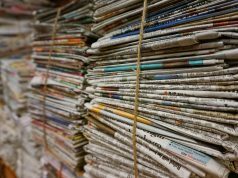 EWB: In Serbia, for example, the Decree on Appraisal of Civil Servants has recently been adopted. Will it contribute to the establishment of a clearer career advancement and a merit-based system? MS: What is obvious from this document is that this will be a competency-based evaluation. However, the architecture of competencies in the management of human resources is a wide and demanding field, so I believe that the managers in the human resources departments will need training on assessing competencies. On the other hand, this evaluation will measure professional and behavioural competences, and avoid some other competencies, like leadership competencies for example. This implies that the system will nurture “administrative, bureaucratic” organizational culture, not “intrapreneurship” in the public sector. On the other hand, the assumption is that qualifications of the staff already working in the public administration are developed, and in the field, we see unqualified people in certain positions, hired for having political parties support, having “acquired” degrees usually from private universities without accreditation, or not speaking foreign languages while working in the international relations departments, etc. This kind of setting discourages public servants who do have all the necessary qualifications, seeing their colleagues advancing through the system thanks to the political ties and backing. In the end, some of them, decide to leave public service, and approximately 15% of our fellows, after coming back to their home ministries, faced with glass ceiling, leave the administration. Especially the ones who are trained in the pre-accession procedures, since at least 6 months is needed to educate a person to be able to work in this area. The turnover of those public servants according to some data is very high. Speaking of Serbia, the Law on Public Servants makes a distinction between politically appointed persons (e.g. State Secretary) and professional positions (e.g. Deputy Minister). In practice, it happens that politically suitable persons get appointed to the professional positions too. In addition, if the post classification of a department has 3 highest ranking professional positions, there is no room for moving up the hierarchy unless someone leaves the service. EWB: From your perspective, how do you see the transformations and reforms in all WB6 public administrations? MS: Most of the administrations are in the similar state of play. Albania and Montenegro look like they have been advancing better than the other countries, however all of the countries are facing non-competitive working conditions, and lack of meritocracy in the public sector. The political parties still use public service as a hiring opportunity for political supporters, especially in the local administration, public companies, line ministries, and less so in independent institutions in which they depend more on experts and professionals. Political support to the professionalization of public administration system is still lacking, and although there are adequate legal frameworks, the implementation and respecting all legal provisions is missing. The European Fund for the Balkans is devoted to continue investing in the human development that creates a community that supports reforms and deeper Europeanization and modernization of all WB6 countries. EWB: Apart from this fellowship program for civil servants, do you implement any other programs for the professionalization of public administration? MS: Besides the Fellowship, in a couple of weeks we will be starting a pilot fellowship programme, this time targeting public servants working in the administration of the National Parliaments in the region. The role of the Parliaments in the democratization processes is immense, and this programme will support the EFB’s activities in capacity building and institution building, a field in which parliaments play a particularly important role.